Just call me captain strike! 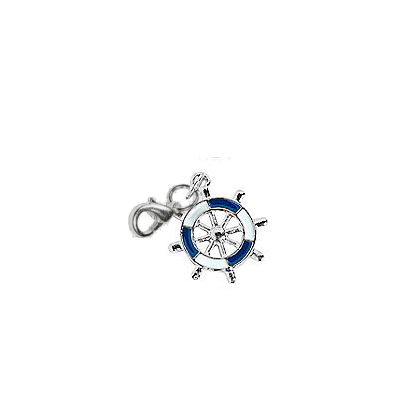 This white & blue boat's wheel or more properly, helm charm is perfect for the boat lovers. The silver tone, metal helm is white & blue enamel filled and includes a lobster type clasp for attachment. 0.90" tall.